Zero gravity: Vanguard 17 features a polished black wire frame with polished classic tortoise acetate temples and hypoallergenic black ceramic nose pads. Lenses are zero base super silver mirror, while polished black onyx side inlays complete the look. Classic half-rim: We set out to create the perfect half-rim sunglasses using only the finest materials and best craftsmanship. Each frame is meticulously handmade in Japan and features high-quality shatterproof lenses with 100% UV protection. 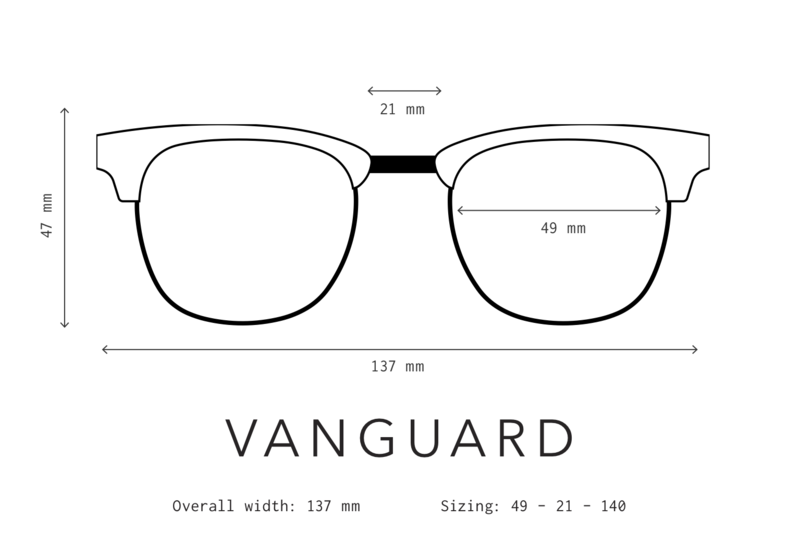 The Vanguard shape was designed to be comfortable and flattering on all face shapes. Its wire-core acetate temples are highly adjustable and provide a more comfortable and substantial feel than traditional all-wire temples. Its surgical-grade stainless-steel construction and smooth, high-quality hinges ensure these will be your favorite shades for years to come. Design the Vanguard to fit your style! In March of 1958, the American satellite project Vanguard 1 launched into orbit. It still circles the Earth today as the oldest man-made satellite. In recognition of this achievement, our Vanguard frame celebrates the spirit of an era when mankind reached for the cosmos; it's our modern take on the classic half-frame shape.